This month the Music and Movement classes at Wee Wisdom Preschool have been celebrating a Chinese New Year theme in song. They were delighted by the dancing dragon and learned a catchy 1-2-1 rhythm pattern while singing and tapping with rhythm sticks. The lesson on music DYNAMICS taught the children to listen to different sound tracts and decide if it was "forte" or "piano" (loud or quiet) They did very well! 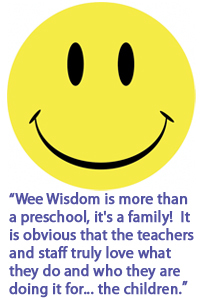 Bravo Wee wisdom music maestros!